"If you build it he will come …"
Unlike the composer, who never listens again to his old music and who never looks in the rearview mirror, I’ve often enjoyed turning to the past to evaluate the path taken. Beyond the steady increase in the quality of publications and the graphical appearance of the website, I above all recall more and more intense enthusiasm for and engagement with this project. Indeed I am now surrounded by faithful companions without whom I could not move forward. If the Maestro is now in our columns, it is thanks to you. I wanted to preface this article by David Hocquet to thank you, dear partners, for allowing me to fulfill my dreams. We built it, he came. And will return! Bring on Wolf Totem! JHFM: While with Hakon and Mari Samuelsen, we talked about French horns in your music; we remember in the finale of In Country, you had this wonderful finale where you can hear the powerful horns play this consonance and dissonance, it was quite wonderful. JH: In that movie, I wrote this elegy, I think, at the end it was so emotional how this Bruce Willis guy breaks down, and touches the wall, which is sacred. And to be able to write for sequences like that is so great, it's so rewarding. To write action sequences for a movie means nothing to me anymore. But there are so few movies like that. JHFM: Like in Field of Dreams for example, you have electronics first and then the whole emotional Americana music at the end. This is when the audience is like 'Okay, now you can feel it'. JH: It's all coloring. I think in that film it's all of a certain world until Burt Lancaster’s character gives up his life, and the music palette changes for me at that point. It's a very emotional movie, and those kinds of subtle things are so important. 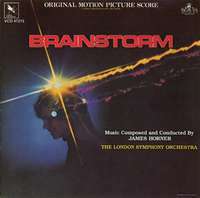 JHFM: There is a very special score for us, which was what you composed for Brainstorm, and it's interesting when you said you composed the score in America and then made this beautiful re-recording in London. It's a very short piece to listen to, it's half an hour, but for us, it was a concentration of wonderful, beautiful music because of contrasts of modernity, and ancient music, and emotional, lyrical, classical music: everything was in it. JH: I can't remember the score. I know that movie was such a strange movie to work on. I know Douglas Trumbull very well, and you know his history in cinema. The whole idea of having a machine that records experiences after somebody dies was such an interesting idea. It takes a filmmaker that just says “go for it”. JHFM: It seems that someone like Douglas Trumbull had enough confidence to ask you, “okay, you can bring the most avant-garde music, or the most classical music in this film”, and it's a beautiful piece of work actually, to listen to apart from the film, apart from the imagery. JH: I haven't heard it in so long. I tend to write it and then let go emotionally. I've learned that over the years, I used to hang on to things and it's so dangerous because you're in love with your bride, and then once it leaves your hands it goes through sound effects and mixing, and all the stuff you worked so hard on now is pushed down. Sometimes it ends up sounding great, and that's what movies are about, but sometimes you work so hard on something it gets so beat up by a film director about making every atom perfect and you hear it in the final mix, and you can't hear any of that stuff. What was the point of getting beat up for a week to get that sequence perfect? It's covered up by car crashes. It's insane! And there are certain filmmakers, who that doesn't happen with. JHFM: We think that someone like Phil Alden Robinson allowed you to write very unusual scores. We were talking about Sneakers for example, because we were talking about Arvo Part, the influence of Arvo Part, and the minimalist composers… You had in this score, it was a very unusual idea at this period of time, and Robinson allowed you to do Field of Dreams, Sneakers, and Freedom Song, and these some of the most original scores you've ever written. JH: It's all in the filmmaker. I look for those people, almost 90% of those type of filmmakers are gone. Now, the filmmakers are making the DC/Marvel Comics, all of that stuff. JHFM: Just saturated, the soundtrack. JH: But just saturated and they're happy, they're absolutely happy. You can't get eight people, on an emotional scene that's intimate, to all agree. It's impossible. JHFM: Listening to great film music and great classical music, contemporary music, there is a certain depth, counterpoint, for example, that you can realize if someone has really learned composing and writing and the depth of the music itself. It's something interesting in your career because you have all this background and knowledge, you know music very well. Then you also are allowed to express yourself emotionally and there are some films where you can feel you were really very close to a film. Field of Dreams or Braveheart for example. JH: There are a few I was allowed… Mel Gibson is brilliant. And he steps back, and he's still a brilliant, brilliant director, and I'd give anything to do a film that he was doing. There are certain films, it's all about how much freedom you're given. JHFM: Today we talked about Pas de Deux, but before there were for example the pieces Titanic Suite and Epilogue – The Deep And Timeless Sea from the album Back To Titanic which are also concert pieces. 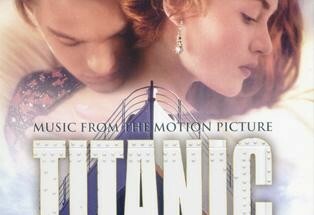 With these two pieces, The Back to Titanic album is more musical, the Epilogue is so beautiful. JH: Yeah, 20 minutes earned. When I was recording the music for Titanic, I never got a chance to just spend time recording a suite, it's so expensive and the studio wouldn't let me do it. So that was another reason to do the thing, I had to do a suite. Oh, I have to listen to the Epilogue again. There was a lot of brass writing. 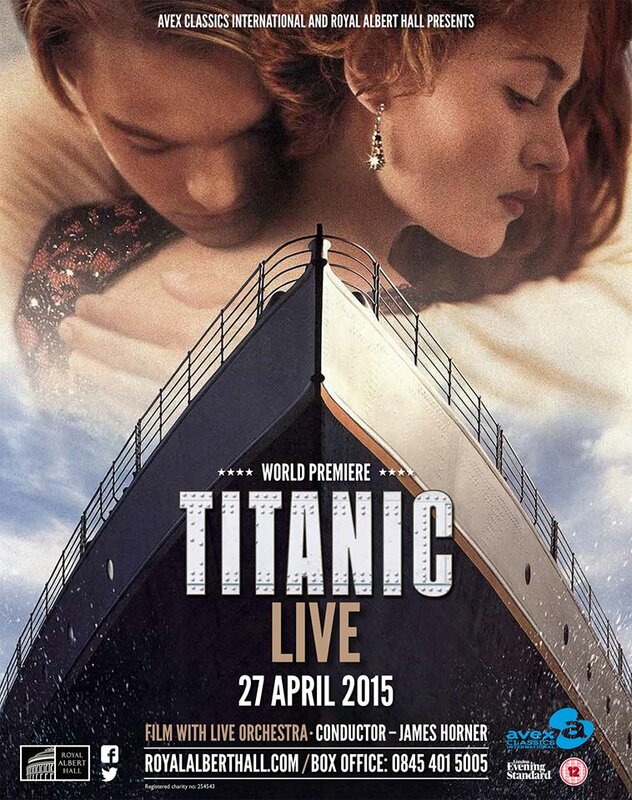 JHFM: So it's true you're conducting the music for Titanic Live? It's the first time you'll conduct an old score. A new experience for you. JH: I'll conduct it in London. Yes, it's a new challenge. JH: Is a lot, yes. It's another reason I don't want to go on tour. But I'm not a brilliant conductor; I just get the job done. It's an art form all onto itself. JHFM: We did interviews with Dhaffer Youssef, the singer on Black Gold, and Clara Sanabras, the singer on For Greater Glory. For Greater Glory is a wonderful score. JH: Clara is brilliant, isn't she? I always look for those special people who have no big experience behind them but you just know when you hear them, they're brilliant. When I finished Titanic I had this decision to make between Celine Dion and Sissel. Sissel I'm very close to, Celine I'd known for a long time since she was like 18 and I had written three songs for Celine on films, but it was before she was known and the filmmakers and the marketing department didn't really do what they should have done for Celine and the song, and I felt I owed her on Titanic a chance, now she's a big star. I felt I owed her, but I could have used Sissel in there. And with these concerts in London, I could have had Clara and I had already talked to Sissel about it. So Sissel will sing the London concerts and then Clara will sing everything else. It's a very difficult decision, they're both lovely, gentle singers. JHFM: Speaking of your female voices, we learned last week some sad news that Maggie Boyle has passed away. You worked with her on Patriot Games and Legends Of The Fall. Very sad news. JH: I didn't know that. It's sad. I've worked with so many collaborators now. It's difficult to follow them all. Some of their careers go up and then down some of them stay up some of them never… you never know. JHFM: Well apart from the business, is it still possible to relate to filmmakers and film people on an emotional and personal level? To have friends? JHFM: So The Amazing Spider-Man was quite unusual for you, it was probably the director's personality that brought you to this project, because he had a different vision for this film? JH: He was very inexperienced and he and I had a very good relationship and the producers had their own opinion. And they didn't want his input. And then Sony had their own, they just wanted action. To me, the whole thing about doing the movie was I liked the director and there was a chance to write something for the two lead characters and then she dies in the next movie. But the next movie ended up being so terrible, I didn't want to do it. It was just dreadful. JHFM: We are so happy to write shortly about Wolf Totem. A project with Jean-Jacques Annaud is very special in your filmography. 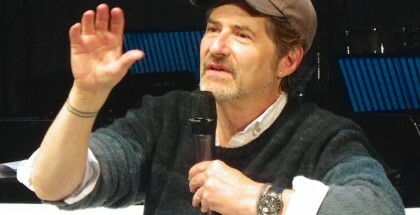 It's funny to think that in your career, you had kind of a difficult relationship with Jean-Jacques on his movie [The Name of the Rose], and a difficult relationship with Jim Cameron on Aliens the same year, and then it was like a new collaboration, such a wonderful collaboration with them. JH: The difference was, the producer on Aliens and the producer on The Name Of The Rose was somebody that I didn't care for and whose opinions I didn't even care–it was just… ignore it. My relationship was supposed to be with Jim and with Jean-Jacques. They inserted themselves artistically and their taste is very bad. In the case of Aliens we just had so little time. Jim was still shooting, it was crazy. JHFM: The Name of the Rose, very unusual in terms of musical colors, it was a combination of medieval stuff and electronics, very unusual score. JH: I wanted it to be a little more medieval, and Jean-Jacques likes things a little more traditional so I made it… the producer wanted it all to be just traditional violins. JHFM: But you relied on more Gregorian music in the writing. JH: Oh yes, it terms of the voice leading it. JHFM: And this bass sound, very dark sound. JH: Yes that is the instrumentation of the period. Wolf Totem is actually a story about two Chinese students in 1960s, and what they learn about the Mongolians and about the wolves, and it's very touching, it's very Chinese. The producers are Chinese. We were going to record it in China, I did ethnic instruments in Mongolia, and then brought that back to London, but the players weren't good enough in Beijing. Shanghai, I wanted to record in, but the government of Beijing and the film company said no to working in Shanghai. They didn't care that it was still in China, it's like two worlds. A political issue. So we ended up just bringing everything back to London, but we started out there. 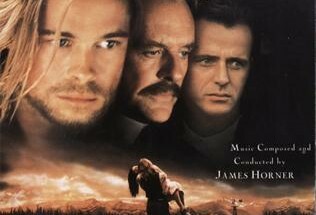 JHFM: Concerning Legends Of The Fall, this movie was so powerful! And we thought there must be something related to the music in that. JH: It's funny how film has that power, where you could write something for just an orchestra that wouldn't have that kind of power. That's what I mean. It's the combination, the marriage that makes it so great. 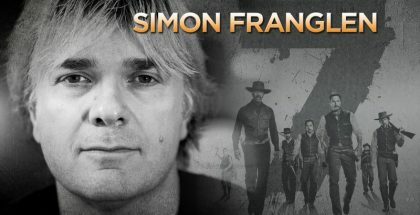 JHFM: Could you tell me why you stopped writing music for animated films? JH: Oh, I was mainly doing the animation for Steven Spielberg. 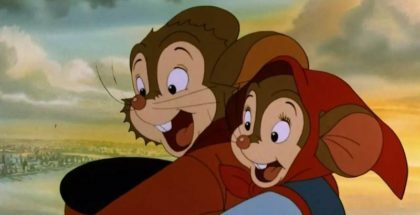 JHFM: An American Tail, The Land Before The Time… Balto was the last one. JH: But, I was asked about doing a couple of other animation things for Pixar. I just wasn't available for one, and then they like to use just two or three composers. It's a different process. It's a committee process, so the music you get some freedom, but also it's very much a committee at Pixar. JHFM: I have to ask if you had a pantheon of favorite classical works that for you are the best? JH: No, just pieces. Like films I have no favorite film I've worked on, just bits. JHFM: When you were studying music, there were composers or pieces that you fell in love with? JH: Oh yeah. But my tastes went all over the place from Strauss to Mahler, I was never a big Wagner or Tchaikovsky fan. Benjamin Britten, Tallis, All the early English, Medieval music, Prokofiev, some Russian composers, mostly the people that were the colorists, the French. JHFM: So like Debussy, Ravel. Do you think the program tonight is a good combination? French and Russian, and your piece between the two? JH: Oh yes. It's just by chance. I don't want it to be on a concert with just modern music. It's great when it's mixed in with the real guys. 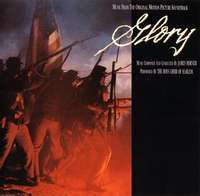 This piece in a way now, it's not just film music. I don't want to sound pretentious, but it's got to sort of stand up with the real music. JHFM: So you were talking about the colorists, this line of composers, from Rimsky-Korsakov to the French impressionist music. Is that the music you relate to the most? JH: Yeah, but also other smaller composers, guys with choral writing, there's so many people I was interested in. JHFM: Do you have any favorites in the modern composers? JH: No, I really don't. JHFM: Eastern European music, Penderecki, Ligeti? JH: Well, that's of a different era. I've been listening for the last few years to world artists, Georgian, and Bulgarian bands and there's some amazing people I'd love to work with. They would just sound so stunning in a score, and I'm always trying to figure out how to weave that together and get somebody to pay for it, and get filmmakers who understand it. It's so important, especially now music is so much in the world of – it's crazy – the world of DJs. It's insane. But that's the way it is. JHFM: It's an interesting evolution. You see, film music today is mostly a lot of background music, noise. In popular music, if you think of The Beatles, the 50s and what is done now, rhythmically, harmonically, melodically, everything's gone down. JH: No, that's true, and even when you hear…and I'm good friends with Hans [Zimmer] but Hans' music is spectacular, but it's all based on a chaconne or a passacaglia, he has maybe six chords or four chords or five chords and they're repeated, and the densities are beautiful. But they're spectacular against the visuals, but they don't have for me an emotional depth. But maybe I'm very old fashioned. They're spectacular, they're shiny and they're just like the visuals. I like Danny Elfman's music very much. JHFM: A lot of colors. JH: His orchestrator is great. 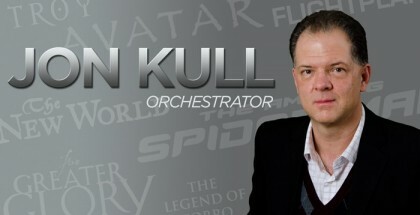 He owes a lot to his orchestrator, he's brilliant. JHFM: He spoke very passionately about Prokofiev and Bernard Herrmann and Nino Rota early on. When you came into the film world you said you were one of the last from the academic world to make that transition, and now kids just want to rush into film, they want to have just the basic musical education, a very kind of superficial education then rush into film to just show off, but there is a lack of depth, lack of roots in the past. You had years of studying music, you could go into this well of treasures you could bring to film. You could bring that history and knowledge through your own emotions, but now it's very superficial, not rooted in history. That's what's missing in a lot of modern composers of movie music. It's very disappointing. JH: You can do so much, with just two lines that cross each other, you don't even need an orchestra. And most of the scores that are being written are done with orchestras that are bigger than Mahler. It's crazy, just crazy. You don't need anything like that. But it's a different aesthetic; it's not just the composer who's asking for it, it's the director. They want it to sound like something else. And occasionally there's something like The Social Network, where there's a very interesting approach that happens. But for the most part, those are quite few and far between. JHFM: Some composers are able to do both, like Marco Beltrami who can do The Hurt Locker which was a very atmospheric score and then he can write a very modern and symphonic score at the same time. He can be bold, he can write a beautiful melody for French director Bertrand Tavernier's In The Electric Mist. But he's one of the rare composers today who have used his education to do that, to be able bring depth to a film. If one has the melodic gift you have or like John Williams and Ennio Morricone, they were able to write great music, melodic music, music that touches people, and people can remember their melodies. But it's difficult for some composers to find something that is really memorable and touches you. It's rarer today. JH: Well John is such an icon, he comes from the golden age of film scoring but nobody is asking for John's style of writing. I mean George Lucas does and Steven Spielberg does. That's a very unique world and most filmmakers find that to be something that works against the film, yet it's such beautiful writing. At its heart, one has to be able to write like that, and also still somehow translate to the tastes of what filmmakers now are asking for. John really just works for Steven Spielberg and George Lucas, and he does concert music, but he's really such a brilliant composer. JHFM: People still remember his music, after all these years. JH: His melodies are stunning, and when they do concerts during the summer, they're often playing John Williams. JHFM: Have you begun writing your piece for four horns? JH: No. I'm waiting for all of this to finish. I have lots of ideas, I just haven't put them down in a neat form yet. 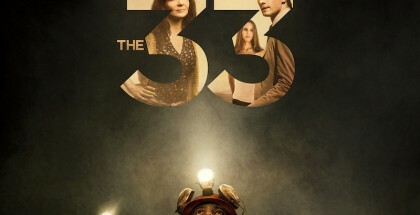 JHFM: Can you say a few words about The 33? JH: Oh, I just did that. It's very emotional. Very good movie, and it's for a director who doesn't have a lot of experience, but I think this will make her an important director, and you know the story obviously. It's a little bit like… it's very emotional. The music's job is to get the audience so involved that they forget how the movie turns out. So for me it's a real challenge to do movies like that, you know working on Apollo 13 or even Titanic, you use that to help you but you have to make an audience forget that they all lived. I mean writing, you can't be too heavy handed, you have to imply that maybe they won't survive, and it’s those kinds of stories that are very interesting for me to try and solve, just structurally. JHFM: And your choice to use a smaller ensemble? JH: Very small. It was purposely, there's some South American music in it, obviously, which I have a lot of experience with now, and the players that play it, but a lot of it is synth, and textural, and also very melodic. But very, very simple. And it's a very powerful movie. 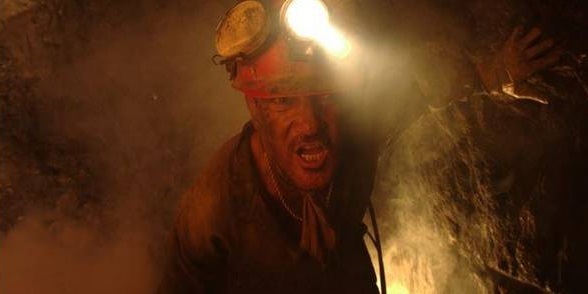 Yeah I haven't worked on a movie like this, sort of as powerful as that, for a while. JHFM:This next year for us is a great period, because of Wolf Totem, The 33, Aviation, Pas de Deux. After two years of silence, it's great. Thank you very much. JH: Then, I'm starting another film in a world I know nothing about. About a boxer, an American boxer. This is a story of a boxer who is right at the top of his career, then he loses everything, including his daughter. Then he has to get his daughter back, and make his way back… and it's just a movie I've never done before. I thought it would be really challenging again. It'll be really edgy, but it will be very simple. No big orchestras. JHFM: So you can really relate to the human drama in the movie, you want to go to the core of the movie. It's what you look for now, not a big spectacle. JH: The big stuff takes care of itself, it's stunning to look at. The director did a brilliant job, and it's stunning to look at, and well photographed. And there have been a lot of boxing movies obviously, fighting movies, but they're looking for something deeper than just the surface. JHFM: It's interesting to imagine that, in a ruthless industry like Hollywood, you can still find those moments of pure emotion, like jewels. You can do that as a composer and the filmmakers can project that to the limits. But it’s made in a ruthless world. JH: It's very difficult, and I'm much choosier. I don't want to be doing these movies that now 85 or 90 composers want, as opposed to six. And now all these movies, action movies. I don't get offered all the movies obviously, but I see a lot of them and I do get asked to do a lot of them, and I just know they're not asking me to do something that I can do something original, they're asking me to do a formula and I'm too rebellious. I'll do a good score but it's not something that I'll really love doing. It's too hard now, there are so many executives, it's too difficult. So when Mari and Hakon asked for this, it's a real challenge and that's all to me, what it's about. If I can solve it. JHFM: Did it take a lot of time for you to achieve what you wanted from Pas de Deux? JH: It did. There were other things that were happening simultaneously, so it took a little longer to write than I would've liked, and they were very much involved with the writing. Anyway I hope you have everything. JHFM: It's great, thank you. It's a dream for us, you are so nice and gentle. JH: Well thank you, I'm glad we had a chance to do this finally. Vienna was so crazy and rushed. JHFM: It was difficult for us to imagine one day we'd have the possibility to have a longer discussion with you. It's one thing to listen to a record, it's another to listen to the creator himself. You have brought out so much emotion for years. A whole generation has been touched by your music, and this is apart from the screen. Your music will live on in our minds and in our hearts, and apart from the film. JH: It's so funny, I lose track of that. I never think of those things. I mean it's nice to be reminded and I'm very flattered, but I just lose track of all of that. I do my best and then I put it in the mail and hope for the best. JHFM: The goal of our website is to share to a maximum number of people the magic of your music, and to take this very seriously. 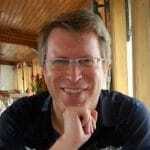 Jean-Baptiste has spent a lot of time checking information, publishing information as accurately as possible. We don't publish illegal links or YouTube videos, as a lot of your music is on YouTube and it doesn't respect copyright. We don't share it, we try to do professional work. It's important because we want to respect your music and respect your movies. There has been a long following of your music in France, there was a magazine called Dreams to Dream…s that was totally dedicated to you. It was run by a guy named Didier Leprêtre. He is French too, and he was totally in love with your music. In France and in Europe in general, there is something, people relate a lot to your work. JH: That's nice to know. I'm very flattered. I lose track of it all. I don't have a website, I like to stay invisible. To me none of this stuff means anything. It's nice to be told every now and then I go into my own world and when I'm writing and if I know that I've done it, that's where I say I've solved this, and I move onto the next. JHFM: But for us it is a legacy of music that is as important as the best of the concert world. It is music that you can relate to, it's also the magic of image and music, but also music that we feel, like Pas de Deux, from the first bars we went “My God this is it! 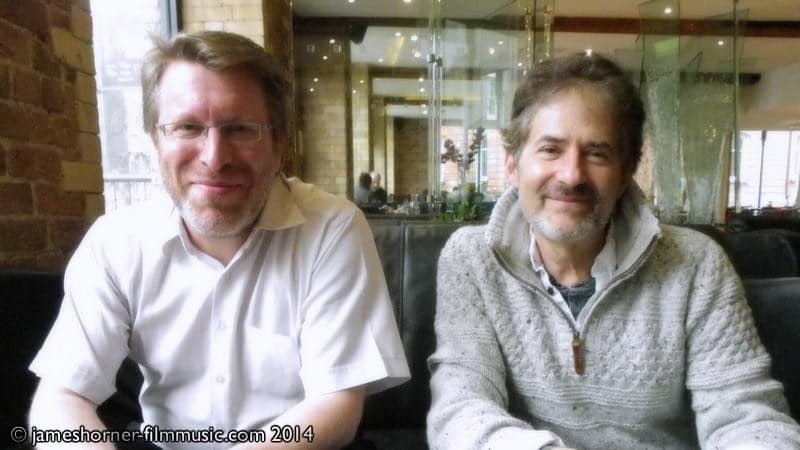 This is pure James Horner that we know and love.” We were crying, it was so beautiful. JH: Well I'm so glad you liked it. JHFM: What is new are the two players of course. You've been working with a lot of soloists in your career, rare instruments, but now you have a brother and sister, which was something totally new. A lot of energy. JH: A tremendous amount of energy. It's different also because we don't have a visual to look at, just them. JHFM: And we don't need it, the music is so strong itself. So powerful, you can feel it. JH: I'm very glad. Thank you. Unforgettable were those moments with the composer of Pas de Deux. Before and after the impact of the music, these vibrations that shake you to the core, there was sweetness and calm words, the simplicity of welcome and the pleasure of confiding in young music lovers who came for the music, for his music, most simply. So many questions still remain, even though the Maestro does not always revisit the past, prefers to be intensely immersed in the project of the moment, even if it means setting aside already composed scores. But the multitude of upcoming projects will be an opportunity to further deepen certain themes, certain motifs, working out variations and colors around the notes, harmonies and rhythms that the Maestro might wish to offer us, in theaters or concert halls. Thank you to Jean-Baptiste Martin, the JHFM Team, thank you to the event organizers, to friends made, to Mari and Hakon to whom we owe everything and, credit where credit is due, thank you to James Horner, whose kindness and music have touched us very much. As the music never stops and will always be an opportunity to meet, see you soon, Maestro. Wonderful!! !, Thank you David once again . It is a wonderful interview with james and it is unlike the previous interviews which he had done before. We got to know different side of James in this interview.Really thanks for giving us this,david. And Can’t thank you enough JB for making this site. Thank you again Ravi for the nice comment. Yes, James was very generous with his time and took the time to talk freely about old stuff and the latest news. 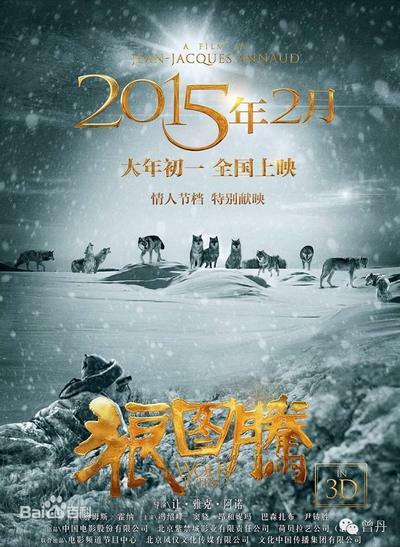 The best is yet to come with Wolf Totem, The 33, The 4 horns concerto, Titanic Live and superb releases of old scores ! Woaw. You could listen (well, read) for hours. Precious document. Just a correction: Harry Gregson-Williams didn’t just say he would compsoe it, he said he was already writing the score. So, no need to GSA to confirm anything: Harry is off, Horner is obviously in. Could this be a first? 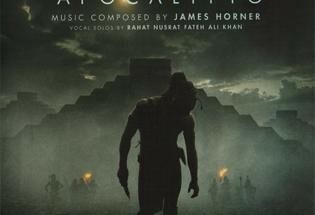 Horner replacing a Zimmer composer? Wonderful interview! Interesting to hear a little about what happened with the Spider-Man sequel. Very sad to hear the news of his death. Music is the key to the open the soul and he was a brilliant locksmith! His music in truly timeless! Fantastic article, congrats on being so well prepared David. Sitting here on the other side of the earth in Brazil with heart aching at the news of his passing. Pilot friends said it was a lot of plane for anyone but a real pro to handle. Doing what he loved one can only be hopeful to have the same road in life. Thank you for a lifetime of magic James, enjoy your next adventure and deepest condolences to his family from one of millions who loved him all over the world. Thank you Douglas, it was one of the most precious moments of my life. Now this moment is even more cherished, unforgettable…To be there with him for the creation of his two beautiful concertos was a dream, beautiful music, wonderful man. I hear a lot of people say that he was shy and a very soft spoken man. Was this true when you met him, David? hello Zoe, yes, it was absolutely true. 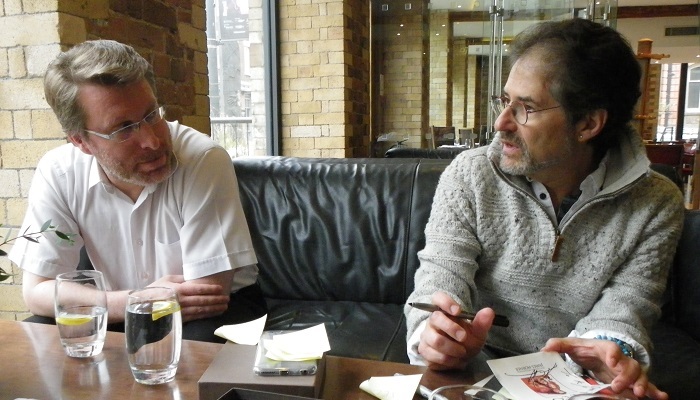 He was so touched that two guys (JB and me) just took the time to come to the UK for the creation of his concerto and have so much interest in his music ! He was generous of his time with us and really enjoyed talking to us freely. he has this charming quality, talking very softly, taking the time to give the most thoughtful and sincere answer to a question.